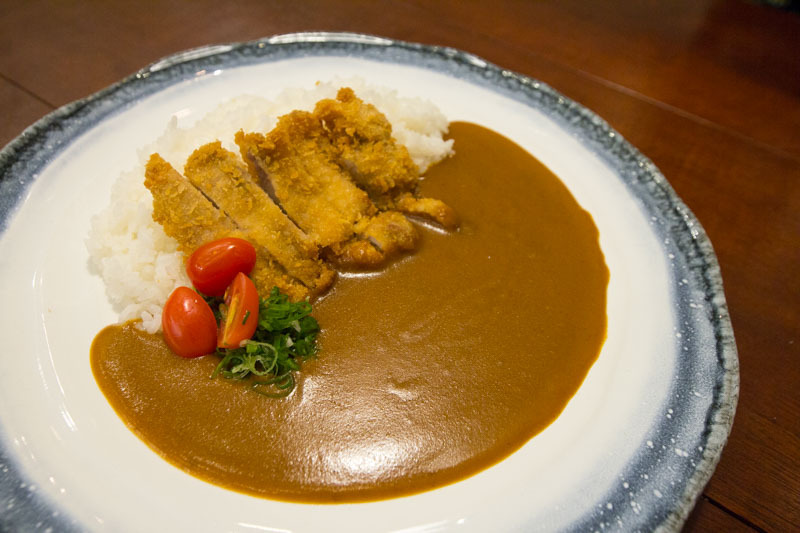 Japanese curry rice is a huge part of Japanese cuisine, and I’m always on the lookout for good curry. 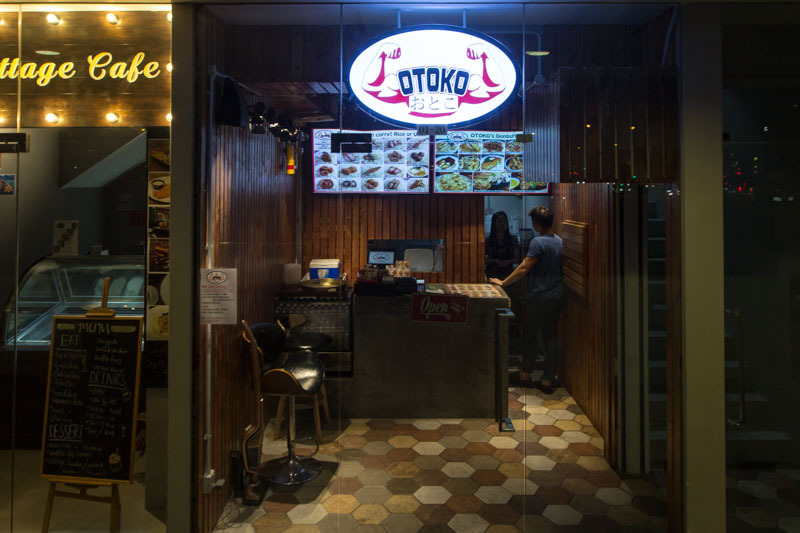 Being someone who lives in Hougang, it was pretty difficult to find good and affordable Japanese curry in the neighbourhood until I chanced upon Otoko. 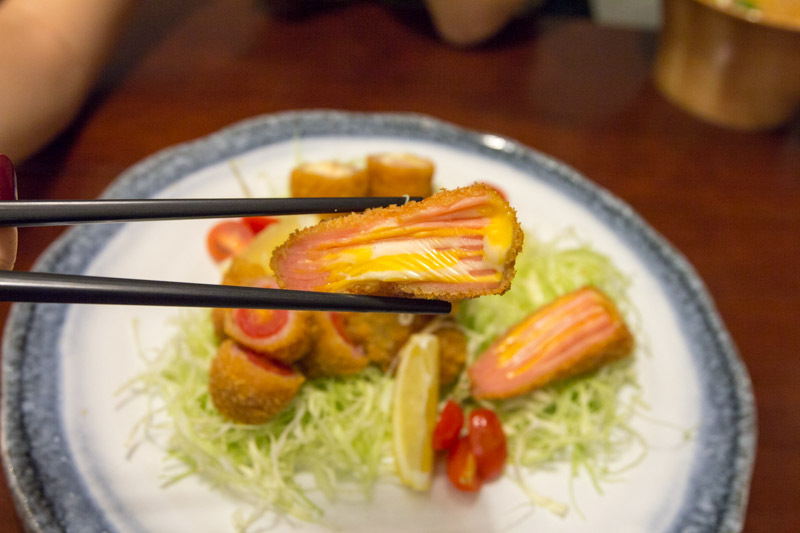 Otoko opened in early 2017, serving up authentic Japanese cuisine at pocket-friendly prices. 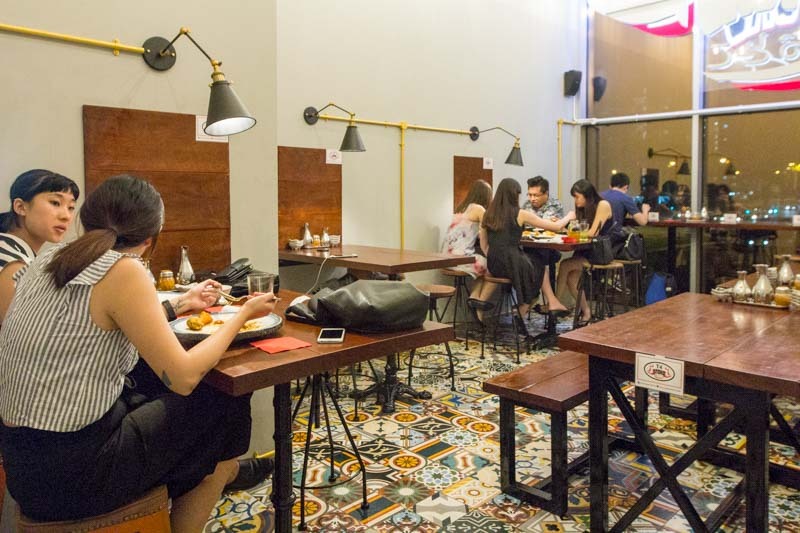 Located in the newly renovated Midtown Residences (formerly Hougang Plaza), it’s a two-storey concept where you place your orders on the first floor and head upstairs to take a seat. 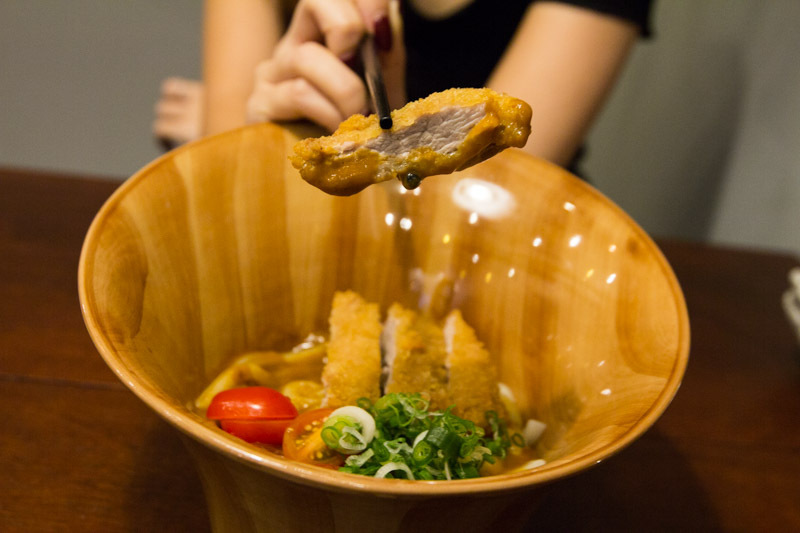 Choose from Curry Rice ($2.80) or Curry Udon ($3.80) as the base, then customize your meal with the different add-ons that Otoko offers. This is a nice touch, allowing customers to create a dish of their preference. I started the meal off with a classic, the Chicken Cutlet Curry Rice ($5.60). The perfectly fried chicken cutlet paired well with the curry that came with a slight kick of heat. 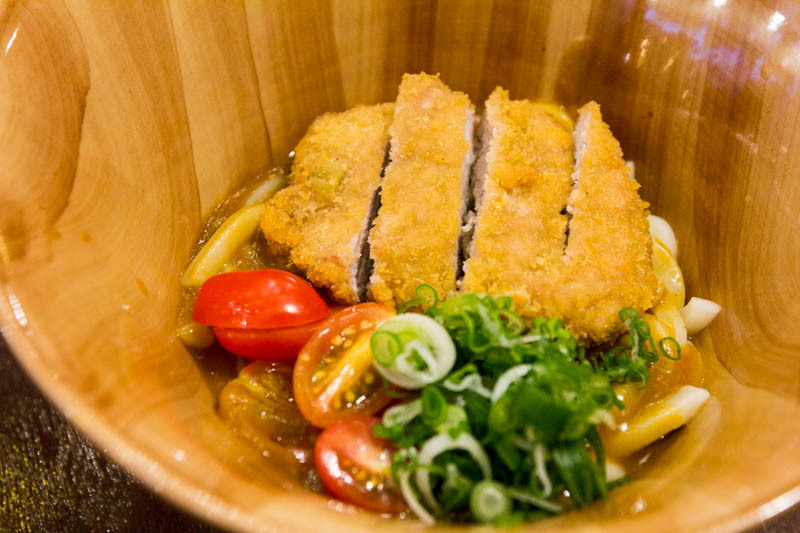 My dining partner is a huge fan of noodles, so she couldn’t resist ordering the Pork Cutlet Curry Udon ($6.60). This dish did not disappoint, with the udon noodles providing the perfect amount of bite in contrast to the crispy pork cutlet, but I thought that the pork was slightly tougher than the chicken cutlet I tried previously. 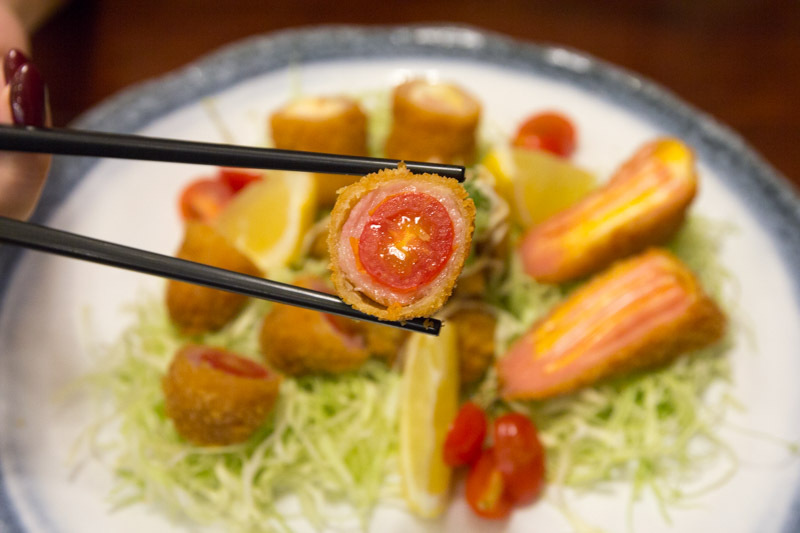 Otoko has quite a few interesting add-ons to choose from, so of course, I had to try them. The Ham & Cheese ($2.80 for 2 pieces) screams comfort food. I’ve always loved a toasted ham sandwich with stringy, melty cheese, and you’ll get the same mouthfeel with these. 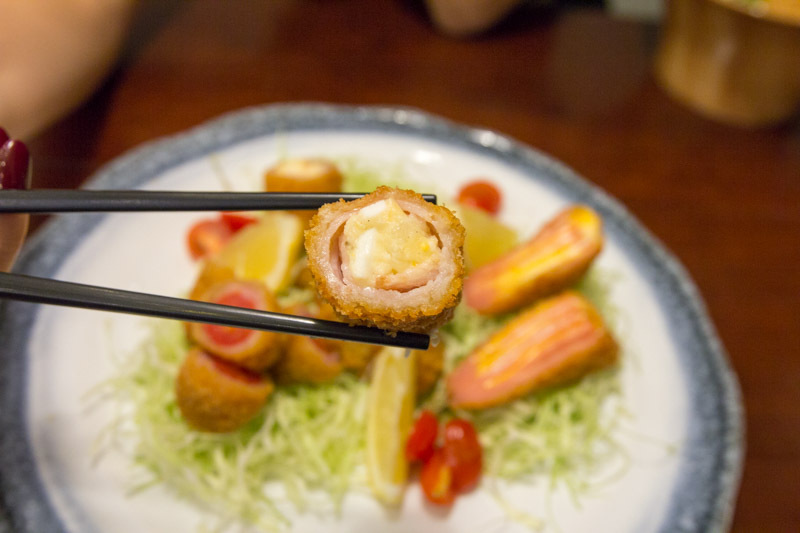 Gooey cheese is paired with ham and coated with crispy panko breadcrumbs before being fried. The Potato Salad in Bacon Wrap ($1.80) was a crowd pleaser, where the same crisp exterior encases a creamy filling with chunks of potato and bacon. The different textures make this dish a delight to munch on, and the smoky flavour from the bacon earns it extra brownie points. 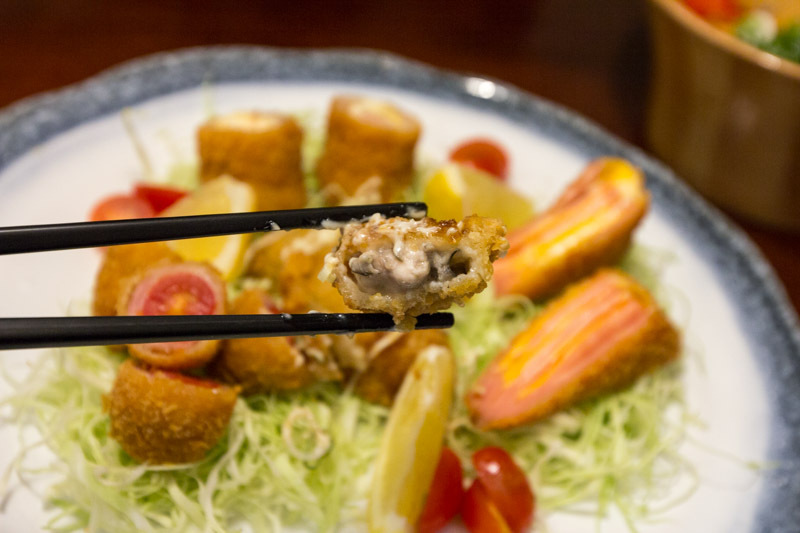 Seafood lovers, you’ll regret if you don’t get the Oyster Furai ($3.80 for 2 pieces). The oysters were of a good size and fresh, and it was great to have decent breaded oysters at this price point. The Bacon Tomato ($1.80) garnered mixed reviews at the table. My dining partner found the combination of the juicy cherry tomatoes with the bacon weird, while I felt that the tangy tomatoes helped to alleviate the heaviness of the dish. 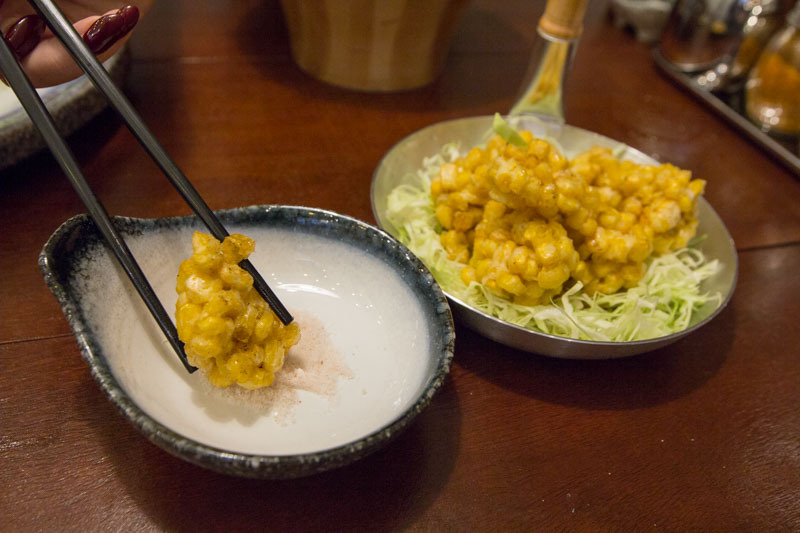 I was a little taken aback by the price of the Fresh Corn Tempura with Himalayan Pink Salt ($8), but after trying it, I’d definitely order it again. The tempura batter on the corn was light and crisp, while the sweet corn kernels paired well with the salt and I wiped them out in a matter of minutes. 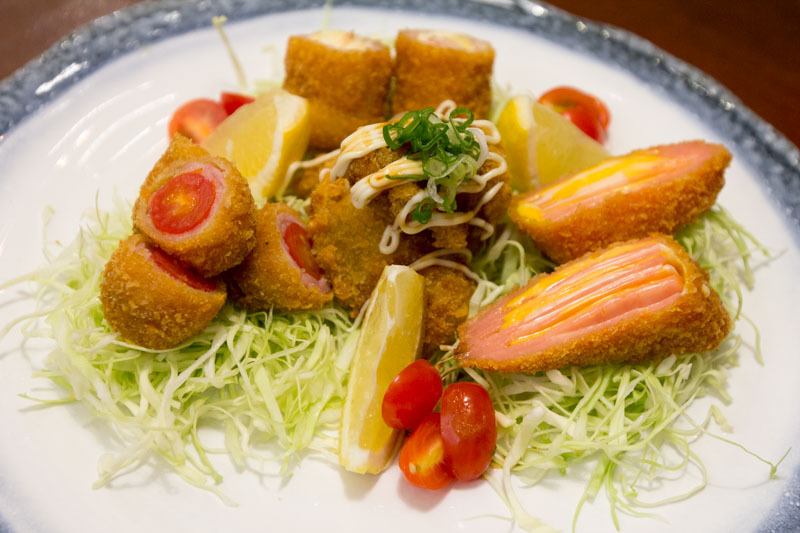 Apart from curry and tempura, Otoko also serves options such as Salmon Teriyaki Don ($14.80) and Aburi Salmon Belly on Mini Onigiri ($10.80). With such decent standards matching the affordable price tags, this is definitely a place I would return to again for a quick fix of Japanese food.